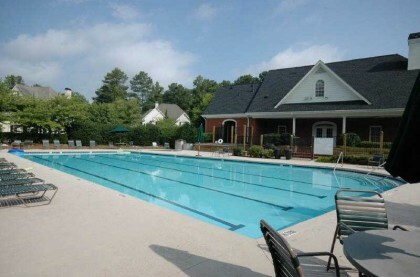 The Neighborhood of Thornberry is located in the City of Alpharetta, North Fulton County GA 30022. 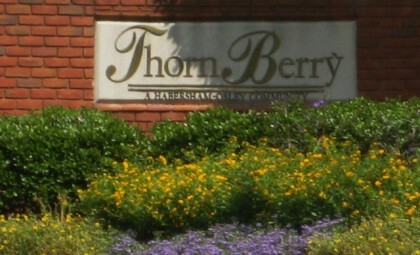 The average list price for a home in Thornberry is between $259,900 to $779,000. Most homes built between 1993 to 2012. Most homes have between 4 to 6 bedrooms & 3.5 to 6.5 bathrooms. The average selling price for a home, at time of post, is $517,100 for a 5 bedroom, 5.5.bathroom home. Home Owner Association fees, at time of post, are $1,100.00 a year and include Club House, Playground, Swimming Pool, Sidewalk, Street Lights, Tennis Lighted, Swim Team, Walk to Schools, & Walk to Shopping. Streets in the community include Bishops Gate Court, Kearny Street, Marin Court, Serenity Ct., Sharpe Lane, Stanyan Place, Stanyan St. Directions: GA 400 North to Exit 9 Haynes Bridge, Turn Rightt off of Exit cross over North Point Parkway to ThornBerry Community on the Left.